Mix all ingredients in a large bowl. Scoop batter into greased doughnut pan. Fill each doughnut mold about 3/4 of the way full. Bake at 325 for 15 minutes. Frosting: Melt 1 1/2 (or more as needed) TBS Justin's maple almond butter with 1/2 tsp (or more if needed) of coconut oil. Spread frosting evenly over doughnuts once they are cooled. 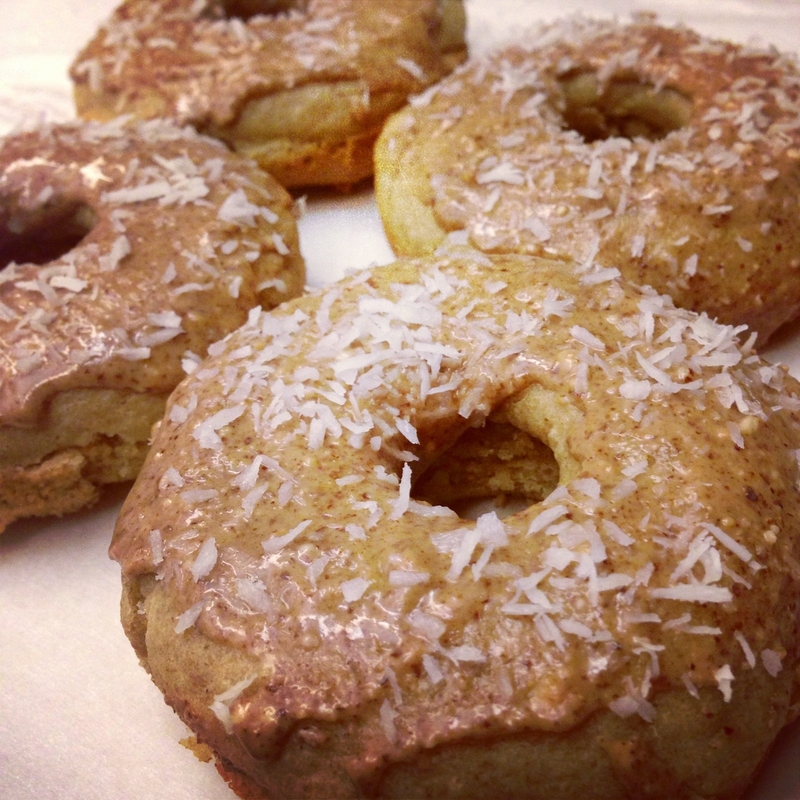 Top with unsweetened coconut flakes. Optional: Add blueberries or chocolate chips to the batter!